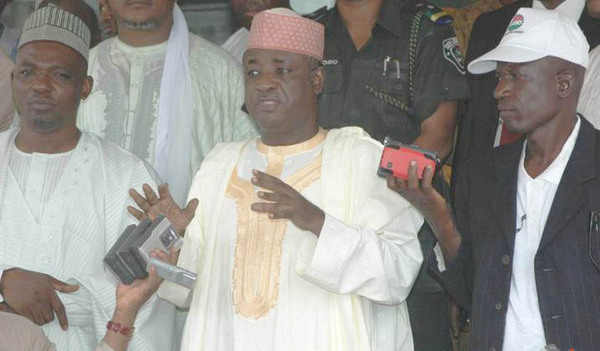 The Commissioner for Water Resources in Sokoto state, Alhaji Shehu Tangaza, has assured that the out-going administration of Governor Aliyu Wamakko would complete some ongoing water projects, which stand N7.5 billion, before the handover date of May 29, 2015. Tangaza, who disclosed this to journalists in Sokoto on Saturday said: “Almost all the affected projects have reached between 80 to 90 per cent completion stage. They will be completed and inaugurated by the incumbent administration of Aliyu Wamakko for the benefit of the people of the state”. The projects include the Bi-water and the three old water works in the city, which will cost N1.9 billion and the second phase of Asare water project. Others are the construction of nearly 100 bore holes, expected to provide 40 million gallons of water per day to be located at Rugar Liman, Runjin Sambo, Gagi, Mana, Tamaje and Old Airport, among other areas in Sokoto metropolis. The commissioner explained that the state water board provides about 70 million gallons of water every day. “When ongoing projects are completed by next month, the board will be able to provide about 110 million gallons of water each day”. PURCHASE DANGOTE CEMENT AT A LOW FACTORY PRICE AT THE RATE OF N1,200 PER BAG. WE SHIP TO ANY PART OF THE STATE PROVIDED THE CUSTOMER(S) ARE (IS) READY, WILLING AND ABLE TO TRADE. *PRODUCT: DANGOTE CEMENT (50KG) *ORIGIN: DANGOTE FACTORY. *PRICE PER BAG: 1,200 NAIRA ONLY. *TRAILER LOAD QTY: 600 BAGS. *Total Cost: 600 BAGS X 1,200 NAIRA:720,000.00 NAIRA ONLY. *DURATION OF DELIVERY AFTER ORDER:2DAYS MAXIMUM. *TRANSPORTATION COST: FREE. CALL TO BOOK NOW FOR PURCHASE AND DELIVERY TO ANY PART OF THE STATE IN NIGERIA CALL SALE MANAGE ON 08137579314 NOW.